A New Road: Our path to Life: Stressed?? No I'm good. It takes quite a bit to stress me out. Anyone who knows me knows I fly by the seat of my pants. When you are married to someone however, the spouse knows just what to say to heighten stress. For example, over Thanksgiving weekend we had some very cold snowstorms blow through Salt Lake. I snowplow on the weekends and Julie and the boys keep me company. One night it was extremely cold and we made our way to costco to pick up a pallet of salt (approx 2500 lbs). Normally something this heavy isn't going to budge. To my surprise, when I started plowing the Dans parking lot on 70th south the pallet was sliding back and forth. It took one time of giving it too much gas and the pallet slid into my tailgate an just crunched it! After getting out of the truck and seeing the damage I had done, I had accepted it and was ready to deal with it. After getting into the truck and telling Julie what happened, she simply said, "You tend to break a lot of things." I'm laughing as I write it now, but at the time I was in utter confusion as to why she would say that. If you know Julie at all, chances are you are laughing out loud. The night before last I tossed and turned thinking about the possibility of being out of town for work when we end up getting the call. I have put this in the back of my mind until now. As a result I had a talk with Julie that morning before I left for the airport. I let her know how much I loved her and that if she got the call while I was gone this time or ever, I would be waiting for her in recovery. It's hard to think that she might have to go in without me there. I said what I needed to say should that happen. As I was sleeping I was waking up feeling this unfamiliar anxiety that it could be sooner than we think. Since we don't get much of updates from the center, everything gets placed in the back of our minds; well at least my mind. I'm sure Julie thinks about it a lot more than I do. Things haven't really changed for us. 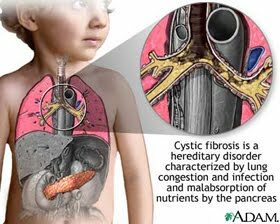 We are still battling her CF with nebs and CPT (I pound on her back to break up the mucus). She is relatively calm about all of this and it's a huge blessing to the both of us. I am convinced the Lord has heard our prayers and is truly carrying the weight for us. "For my yoke is easy and my burden is light." You guys...I am in my own little world here in TX! I am just getting updated...So glad to find your blog so I can stay close to whats going on. I love you guys! Ill keep you in my prayers and spread the word. Love you Jules!